The term “Afrocentric” is a more comfortable part of the American lexicon than it was twenty years ago. While the terms “Black” and “Afrocentric” seem to be used almost interchangeably, evolving social discourse recognizes subtle differences between the two terms. The term “Black” is more suggestive of the physical characteristics associated with race, whereas the term “Afrocentric” is fundamentally based in culture and point of view. Afrocentric Theatre continues our quest to enhance thinking about and understanding the nature of Afrocentric theatre as expressions of culture and media for communicating values. Our effort to describe Afrocentric theatre and culture is not intended to prescribe rules for what is or is not Afrocentric or Black. Our goal remains to honor Afrocentric theatre and Afrocentric culture without dishonoring any other theatre or culture, to describe without devaluing. Variances exist within and across cultural groups. These variances do not indicate that any one person or group is better or worse or inferior or superior to any other. This book is divided into two sections. Part 1, “Premise,” describes terms and concepts that aid in examining Afrocentric theatre from an Afrocentric point of view. Essential to that discourse is understanding how culture and values shape points of view, which in turn shape interpretations and evaluations of theatre arts. 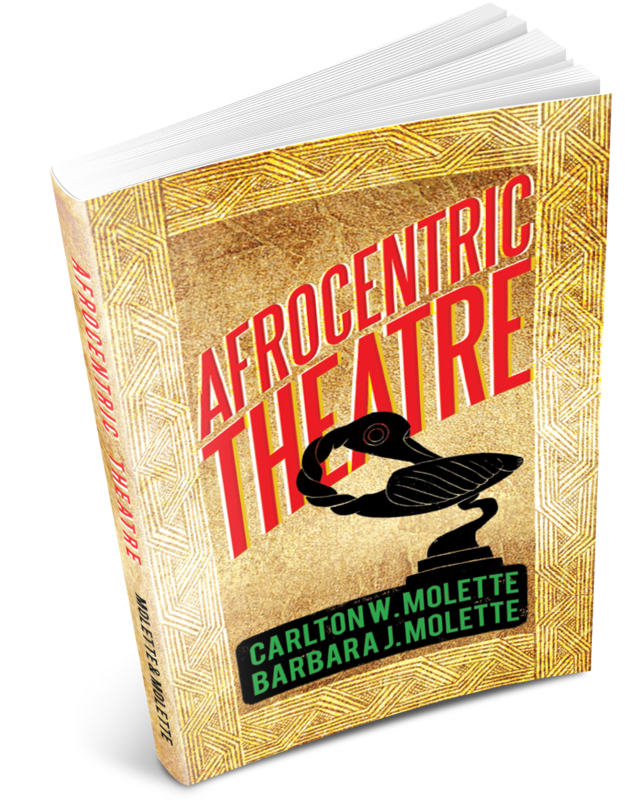 Afrocentric theatre deserves to be defined, interpreted, and evaluated in a context of Afrocentric culture and values. Interpreters and evaluators shape the standards they use to interpret and evaluate creative works. But their results are immaterial, no matter how sincere, if their culture and values differ significantly from those of the artist and the audience for whom the work of art is intended. Individuals purported to be experts often praise or discredit work by asserting the presence or absence of universality or objectivity or both. Using objectivity and universality as standards for determining a work’s worth says very little about the work itself and exposes a great deal about the evaluator’s cultural biases, especially when the work’s creator and intended audience are culturally different from the evaluator. Since we say objectivity and universality are “myths,” and since the term “myth” is sometimes used to infer fiction or falsehood, we need to explain the context in which we use the term. Copyright © 2013. Carlton W. Molette, PhD and Barbara J. Molette, PhD . All rights reserved.